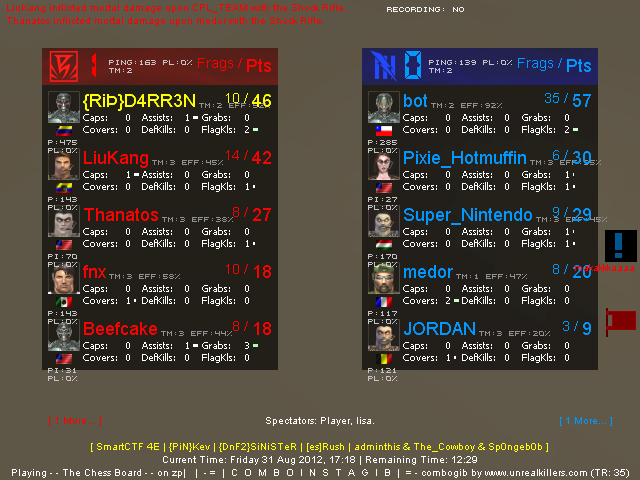 2)Just before I quitted (becuase of ping, just check it out), maybe this is ''kind of normal'', but still, 120 frags in 9 mins? 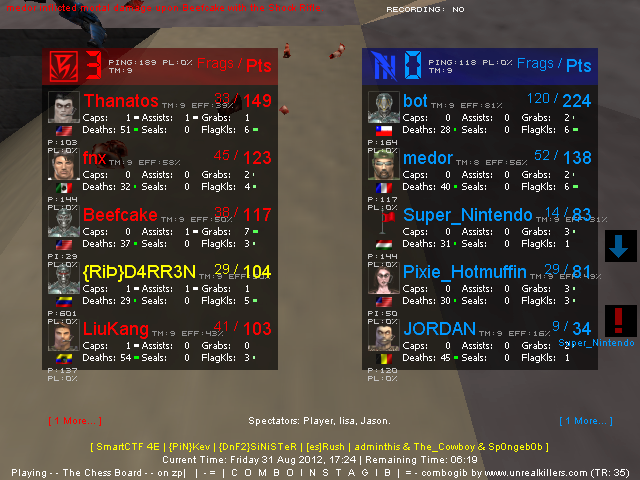 He made almost 100 frags in 6 mins, and THAT'S crazy. I was specing on the server when he was on before, didn't see anything wrong with his aim. That's an open map its easy to get a lot of kills, in a short space of time. keep an eye on a polish player called olczan, he was using an aimbot on another server about a week ago, i saw him on one of the insta servers yestaday. If you think someone is cheating, spec, behindview 0 them, and make a demo. Last edited by UT-Sniper-SJA94; 08-31-2012 at 08:39 PM. he's not a cheater, has good aim but no brain.